Creating your Maker Story is easy & fun! We only have a few simple requirements, the rest is up to you! Your Maker Story video must be no longer than 60 seconds. 2. Try the Suggested Template, or Get Creative! We created an easy to follow (and optional) template for a Maker Story. 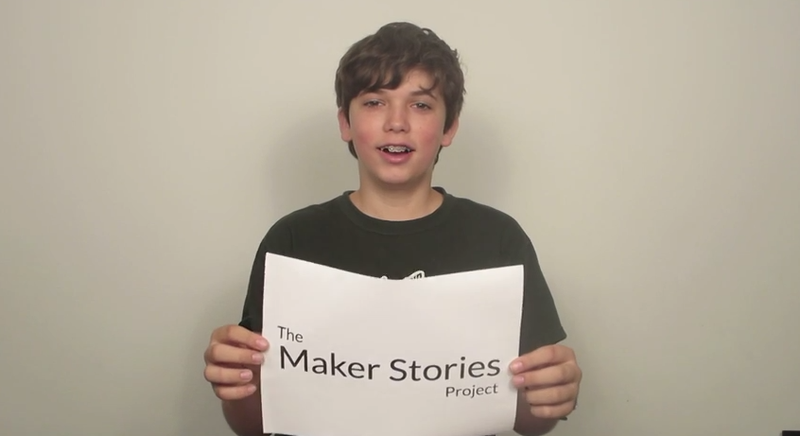 Watch Adam’s Maker Story for an example of this template. You don’t have to be a video pro to shoot your Maker Story. Use these tips to keep it easy & fun! Find a location with good lighting and low noise. If you do #1, you’ll find that a “point & shoot” camera on a table or a tripod will do a great job. If you use a laptop webcam, elevate the laptop so that the camera isn’t pointed up at you. By checking this box, and submitting this form, I grant The Maker Effect Foundation and its agents the right to link to, share, edit, and redistribute the video at the provided URL.